If you wish to quickly migrate to the latest version of ownCloud Server, you can use the ownCloud desktop client to simplify the process, by deploying a new version of the Bitnami ownCloud Stack and using the desktop client to transfer data to it. NOTE: This approach does not represent a complete upgrade or migration, as it does not migrate the user’s account or the configuration data in ownCloud Server. It is best suited for users who only wish to sync their files and other data. Launch the ownCloud desktop client and let it sync with the existing ownCloud Server. This step ensures that all data on the server is copied to the local ownCloud storage area. 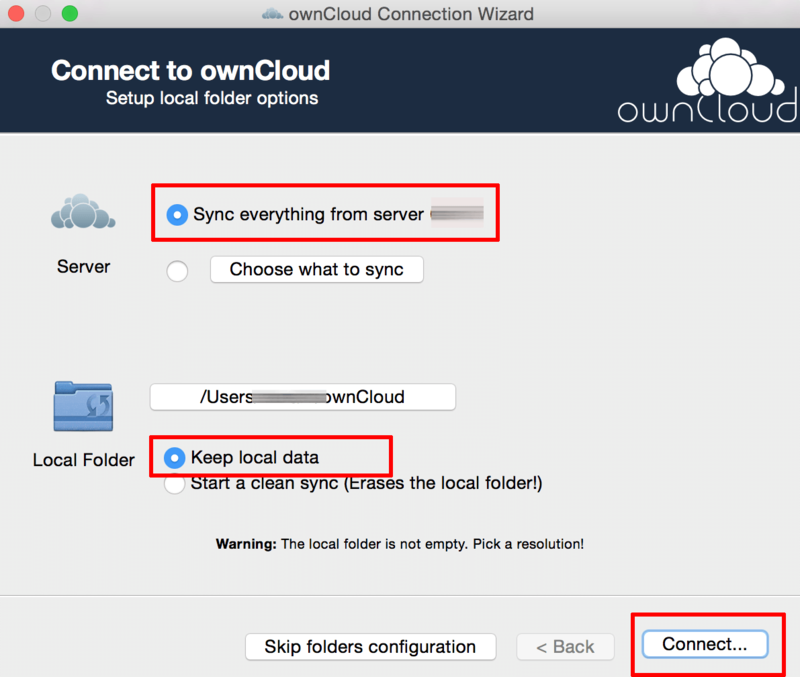 TIP: If this is the first time you are using the ownCloud desktop client, download it from the ownCloud Web site and configure it as described in these instructions. Once the synchronization process is complete, use the “Account -> Remove” menu option and then click the “Remove connection” button to remove the connection to the existing ownCloud server. Close the ownCloud desktop client. Deploy a new server with the latest version of the Bitnami ownCloud Stack. Log in to the new ownCloud Server using your Web browser. In the left navigation bar, select the “All files” option. Then, select all the files and folders shown and delete them. Launch the ownCloud desktop client again. 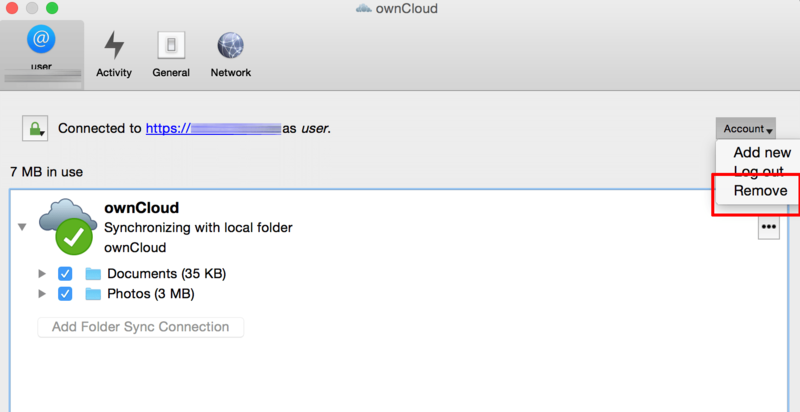 Create a connection to the new ownCloud Server following these instructions. When asked to configure local folder options, ensure that the “Sync everything from server” and “Keep local data” options are selected. Click “Connect” and then “Finish” to save the settings. The ownCloud desktop client will now connect to the new ownCloud Server and synchronize the files that are already in local storage with the new server. At the end of the synchronization process, the new ownCloud Server will have the same data as the original ownCloud Server. You can now decommission the old ownCloud Server and use the new one instead.